Dr. B is voted D Magazine’s Best Plastic Surgeon for the 13th consecutive time! The year 2017 has been a wonderful year for world-renowned Dallas facial plastic surgeon Dr. Benjamin Bassichis. 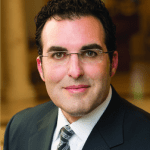 While the year has been filled with doing the work he is so passionate committed to, Dr. Bassichis is honored by the recognition for his talents and expertise as a facial plastic surgeon in the Dallas-Fort Worth area and nationally. One of these recognitions was an award for D Magazine’s “Best Plastic Surgeon in Cosmetic and Reconstructive Surgery” for the 13th consecutive time! We invite you to visit Dr. Bassichis for a complimentary consultation to see what one of D Magazine’s Best Plastic Surgeons can do for you. Call 972-774-1777 for your appointment today!